The earthquake was caused by the Earthy card. Ms. Mizuki is nearby, but there is nothing going on around her. Sakura uses to Sleep card to put everyone except herself, Kero, Tomoyo, and Syaoran asleep; Ms. Mizuki is not affected by the card, however. Sakura uses the Fly card to see from above; while Syaoran makes sure everyone is safe. Sakura eventually uses the Woody card to seal it away. Now with the final card in her possession, Kero is able to transform into his true form. After a short celebration, Syaoran explains that Kerberos, representing the sun, is one of two guardians of the Clow Cards, the other being Yue the judge, representing the moon. Kero explains that the sole owner of the cards will be determined after Yue appears. Suddenly, Yukito magically floats with a light blue aura, and turns into Yue. Ms. Mizuki explains to Sakura that Yukito is Yue. 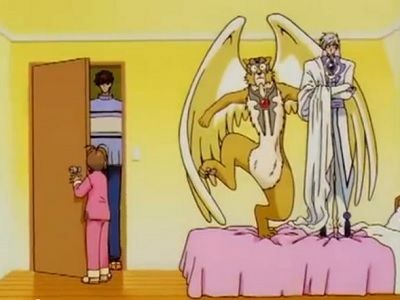 Yue begins the Final Judgment of Syaoran, who tries to fight Yue with a seal, but Yue tells him that it is useless, and he can only use the Clow Cards he currently has. 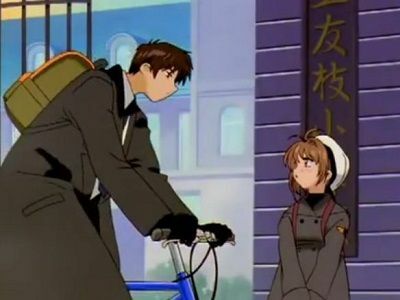 Syaoran tries to use the Time card, but since it is under Yue's jurisdiction, Yue can use it against him. Syaoran is defeated, and it is time for Sakura's Final Judgment. 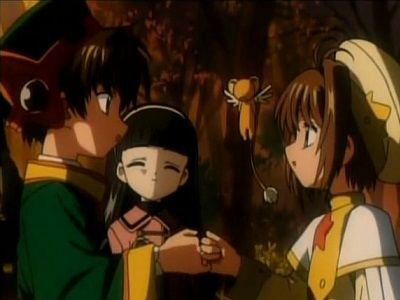 Remembering his promise to Meilin that he would be her "fiancé" until he found someone he loved more, Syaoran calls her to tell her that he is in love with Sakura, though he is taken by surprise when Meilin arrives in Tomoeda for the day. While Meilin spends the day with her old friends, the group is attacked by a set of enchanted penguin statues at the playground. 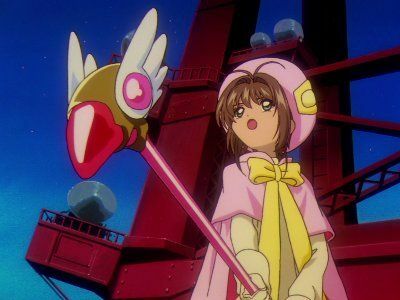 Acting upon Meilin's advice, Sakura transforms the Freeze card and uses it to freeze the statues, allowing her and Syaoran to defeat the penguins. During the incident, however, Meilin realizes exactly why Syaoran called her. 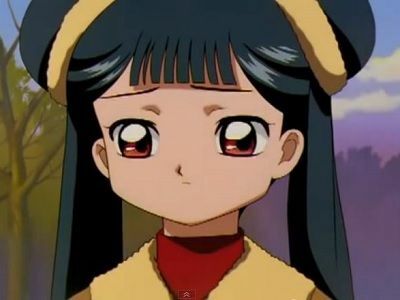 Seemingly accepting of the matter, Meilin breaks off their "engagement;" in reality, however, she is heartbroken and visits Tomoyo upon her suggestion to bawl over it. 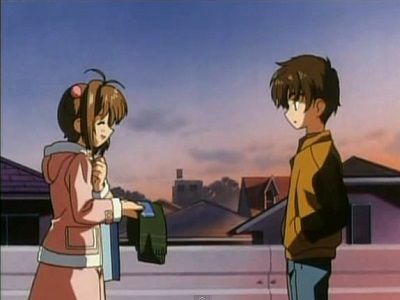 Feeling better, Meilin encourages Syaoran to confess his love to Sakura as soon as possible, since Sakura would never know about them otherwise, before leaving the next morning, and leaves a cryptic message for Sakura indirectly stating she should pay attention to Syaoran's feelings. Meilin gets a call from her mother, who wants her to come home. Meilin tells Sakura the next day that she is going back to Hong Kong next week. Syaoran appears, and asks Meilin if she told the teacher she is going back to Hong Kong yet. Meilin asks Syaoran if he feels she is getting in his way, and Syaoran says that is not it. Meilin runs off, calling Syaoran an idiot. At the end of school, Sakura invites Meilin to her house and they have a chat with tea and sweets. Sakura tries to make Meilin feel that she is not a nuisance to Syaoran. 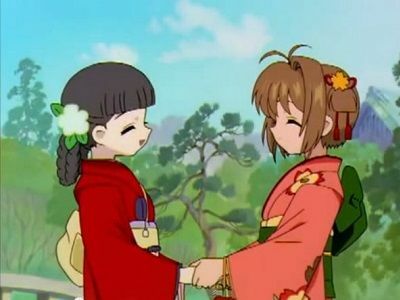 Meilin tells Sakura about how she fell in love with Syaoran. In the middle of their conversation, Sakura senses a Clow Card. Meilin decides not to go, but Sakura drags her along and tells her there are things only she can do. Meanwhile, Syaoran is getting beaten by the Twin card. 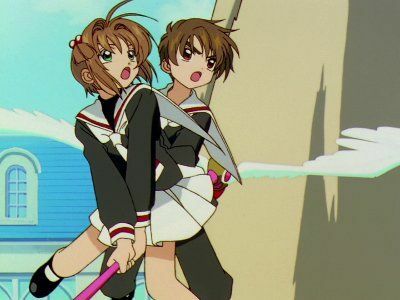 After a couple of failed attempts, Sakura thinks that Meilin and Syaoran can work together to keep the two bodies of the Twin card immobilized, so she can seal them away; they try it, and it works. Sakura seals the Twin card, and it goes to Syaoran because he and Meilin weakened it. Syaoran tells Meilin that he never thought that she was in his way. 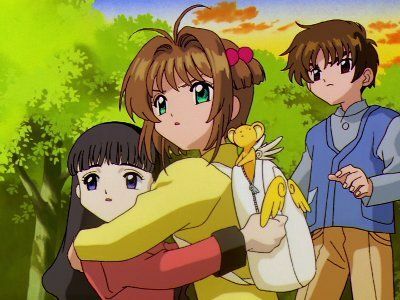 Sakura, Tomoyo, and Kero go to the airport with Syaoran to say goodbye to Wei and Meilin. Meilin asks Syaoran if he remembers the promise, which is until Syaoran finds a girl he likes more than her, she will be his bride. Meilin whispers a thank you to Sakura for saving them with her magic, before she leaves. 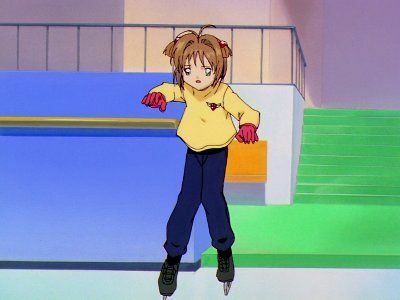 After waking up early, Sakura goes for a skate and remembers the dream she had the night before about a mysterious figure standing on the Tokyo tower. She soon ends up at the shrine were the Maze card was captured and meets Ms Mizuki. Sakura and Yukito go on to help Ms Mizuki clean the shrine. After school, Sakura and her father are together and it is revealed that Toya know Ms Mizuki when she was an assistant teacher while Toya was in Junior High. Kero is soon alerted to a strong presence coming from the shrine. While at the shrine they meet up with Syaoran who is also looking for the card. Kero soon slopes off to get drinks and Syaoran and Sakura are left to talk. Syaoran once again warns Sakura of how dangerous Ms Mizuki can be and they both admit their love for Yukito. Syaoran is so embarrassed that he runs off in distress and Sakura is swallowed by a dark shadow. It is soon revealed that it is the work of the Return card and that she has gone back in time. 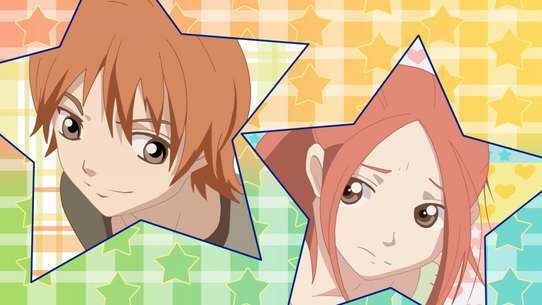 While in the past Sakura see a number of scenes involving her brother and Ms Mizuki and you find out that both appear to love each other, but she tells him to not linger in the past and look forward, since she has to go to England but, when she returns, Touya will have a new love in his life and both she and Toya will be best friends. Sakura is soon returned to the present with the help of Syaoran and the Time card and Sakura captures the Return card and it then goes to Syaoran. 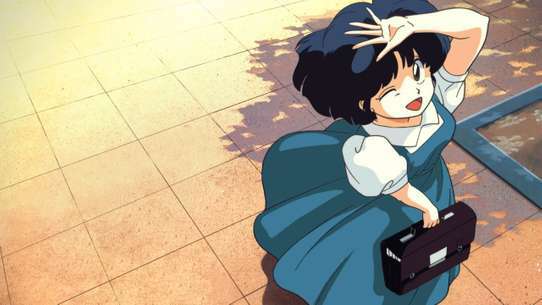 After viewing Nakuru's film, Sakura tours the high school fair with her friends, while Toya comforts Yukito when he appears troubled by the fact that he is not human. Alone with Yukito in one of the attractions, Sakura tells Yukito how much she likes him. However, Yukito gently rebuffs her, saying that her love for him is merely platonic, and that he already has someone he loves; Sakura, in a rare moment of insight, realizes that person to be her brother, Toya. Yukito tells Sakura that the person she loves most is still out there when Sakura senses Clow Reed's presence once more. Using the Maze and Illusion cards, Sakura manages to trap the presence and discovers it to be coming from Eriol, though she loses consciousness. Eriol jumbles her memory of the discovery, acknowledging that she has indeed grown powerful to find him. 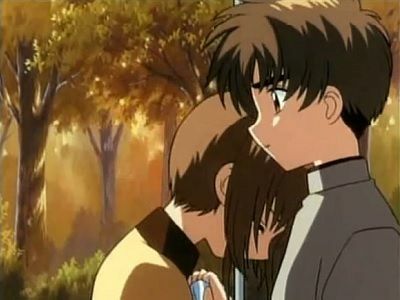 Sakura tells Syaoran of her experience with Yukito and, despite her understanding and acceptance of the matter, begins to cry. Knowing that now is not the time to tell her that he loves her, Syaoran comforts her and assures her that she will find the person who she loves the most. Kero is almost positive that Toya knows everything about Sakura's secret, though Sakura dismisses his claims, saying Toya would make fun of her if he did. Toya, meanwhile, is certain that Nakuru is deliberately interrupting him while he tries to tell Yukito the truth about why he is always feeling fatigued. The two make plans to buy a Christmas present for their father, though Sakura senses Clow Reed's presence again. Sakura uses the Mirror card to create her double and cover for her while she fights off a pair of enchanted fence bars with Syaoran, destroying them by using the Mist card to corrode and disintegrate them. However, Toya immediately recognizes the Mirror card, but goes shopping with her anyway. In gratitude to the Mirror card for looking after his little sister, Toya gives her a ribbon for her long hair in her true form. 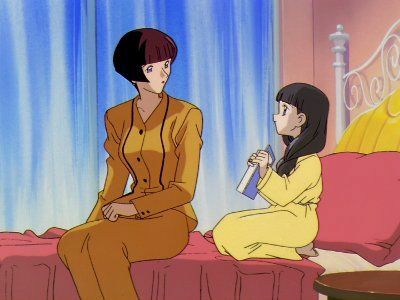 When Sakura returns home, she plays a recording of a hymn she and Eriol played on the piano together earlier to thank all the Clow and Sakura cards for their help. When the Mirror card returns to her card form, however, Sakura notices that she is wearing the ribbon Toya gave her. The challenge is over at last. All the cards have been captured, all have been turned. The tests are over, or are they? There may be just one remaining, one that may have to be resolved with the heart. 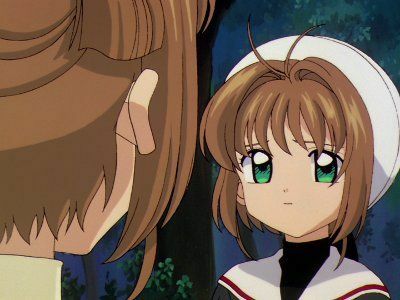 Life has been difficult for Sakura and Li since the day Syaoran confessed to sakura that he was in love with her, Li finds it difficult to approach Sakura, whilst Sakura herself is torn, not knowing if she feels the same way for Syaoran. The two barly exchange words when they return to school, where they are told by Tereda-Sensi that Eriol is transferring back to England. 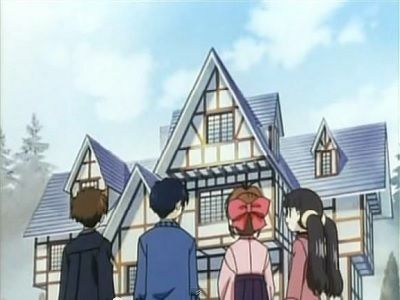 Sakura, Li, Tomoyo [Armed with her camera as always] and Kero head for Eroil mansion, seeking answers, they are startled when the mansion's front door opens by itself, as do all the other doors from within the building. When the final door opens, the four are shocked to discover that Eroil is holding a party for them! Christmas is coming, which is also Yukito's birthday, but Sakura is unsure what to get him. She asks Meilin for advise who tells her it can anything because if the person likes her they will like the gift. Sakura asks Yukito to go to the amusement park with her, using tickets given to her by Chiharu. Tomoyo and Kero follow them to film Sakura's "date". 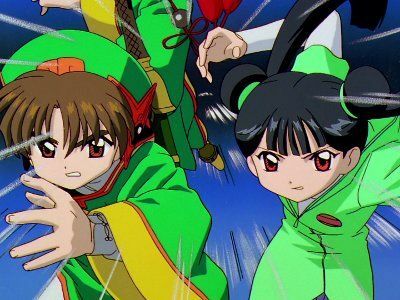 Sakura and Yukito run into Syaoran and Meilin. While they are at a cafe, the Firey card appears. Syaoran uses the Time card, giving Sakura time to use Sleep and put everyone at the park asleep. She then tries to capture Firey using Windy, but Firey is a strong attack card and Windy is unable to defeat it. Sakura has to use two elemental cards, Watery and Windy, together in order to capture Firey. With Firey captured, Kero regains a small amount of his power, enabling him to make small fires. 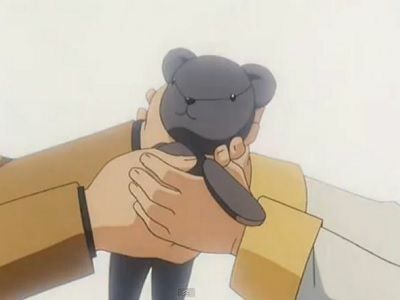 Sakura gives Yukito his Christmas present: a doll of himself. Sakura initially refuses to fight Yue, but after he repeatedly attacks her she tries to find card that can confine him without hurting him. She uses the Woody card, but it is a card under Yue's sign of the moon, and he turns it against her, and Yue declares she has failed. Sakura learns that if she fails the Final Judgment, everyone who has ever had anything to do with the cards will forget their feelings for the person they love the most. After seeing a vision of such a world, Ms. Mizuki uses the bell to enable her to break free from Woody's hold. She explains that her bell was created by Clow Reed to give Sakura another chance. Ready to try again, Sakura releases her wand and it transforms, the end changing to a Star. She call's Windy, which Yue denounces as being under him as well, but this time he is unable to turn it against her and is captured. Sakura expresses her understanding of his love for Clow, promises to try her best, asking if they can be friends rather than her being his master. Yue declares the trial successful and acknowledges her as his and Kero's new master. Sakura has a vision of Clow Reed who thanks her and explains that her power is of the Stars, rather than the Sun or Moon. 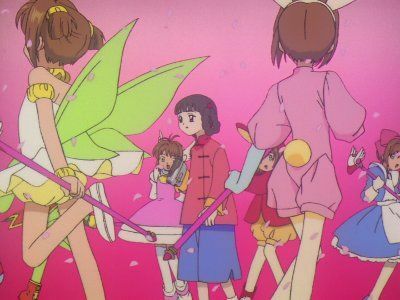 Sakura celebrates with Tomoyo and Syaoran, while Kero and Yue chat briefly before they return to their false forms. Toya and Yukito are starring in an independent film directed by Nakuru for their school fair, and Nakuru gives Sakura a role. Sakura later begins to notice that Yukito is losing his power and is starting to fade away. Things come to a head when Yukito passes out and falls of a veranda while shooting the film, though he is saved by Toya and, secretly, Sakura. Toya finally manages to tell Yukito the truth about his power, telling off Nakuru when she attempts to interfere. 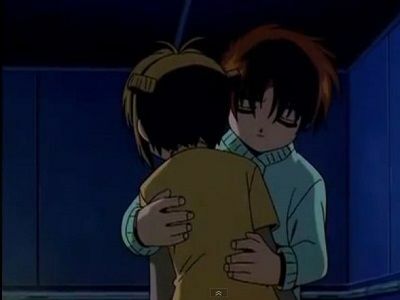 In order to maintain Yue's power and existence, thus allowing Yukito to survive, Toya sacrifices his powers to save him, though losing the ability to sense when Sakura is in danger. As such, Toya has Yue promise to protect Sakura, as well as himself. Having overheard, Sakura realizes that Toya had indeed known about her secret all along. She confronts Kero about why he didn't tell her about Yue/Yukito; Kero explains that he did so to prevent her from blaming herself, since her power alone wasn’t enough to sustain him, and thus act irrationally because of it. Not wanting Yukito to disappear again, Sakura resolves to confess her true feelings to him. Sakura and Syaoran are working hard at memorizing the play. Finally the day of the play comes, and after a few denials about going out on stage from Syaoran, the play is on. The play goes well until right before Sakura and Syaoran kiss, when the Dark card appears. Sakura is almost lost in the Dark card until she realizes that she holds the Light card in her heart. The two card counteract each other and show themselves. Sakura seals both cards and before being sealed, they tell her that the final judgment is coming and that is will be up to Yue. Sakura heads to school in the morning, but does not see Yukito. She notices that there is a festival and asks Syaoran whether he wants to go to the festival at Tsukimine Shrine. He agrees, much to Sakura's delight. As the lessons continue, Sakura feels sleepy again. 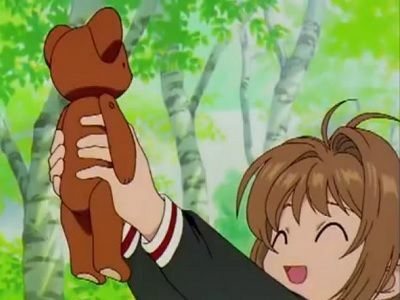 Syaoran notices this and is worried. As Tomoyo and Sakura walk home, Sakura admits that she feels much better now and thanks Syaoran and Tomoyo for their help. As Syaoran and Sakura walks to the shrine, Sakura gives Syaoran her handmade scarf, which Syaoran shyly accepts. Toya, Yukito (and Eriol) turn up and the shrine (Sakura invited them);Sakura happily goes with Yukito. Sakura and the rest waits near the lake while Yukito and Toya went to get drinks. As Sakura walks near the lake, she felt Clow's presence and Eriol summons a strange-looking horse. Sakura transforms the Wood card in an attempt to immobilize the horse but fails. The horse cuts the power lines and Syaoran sends a blast of lightning but the damage was not enough. Syaoran then sends a blast of wind to push the horse into the water. Sakura transforms the Thunder card to electrocute the horse and succeeds. As the power lines are cut, there are no lights. Sakura then transforms the Glow card to illuminate the shrine, while Syaoran wonders whether he should confess his love to Sakura. Sakura uses the Return card with the help of the cherry blossom tree at the temple. In the past she first sees Keroberos and Yue talking. Kerobers says hes concerned about the cherry blossom tree because its already spring and it hasn't blossomed. Clow Reed sees Sakura then walks over to the 2. He uses the flower card to help the tree. The images fade and Sakura passes out. (Return is a time card and requires alot of energy to use. Sakura wakes up and finds herself leaning against a sleeping Keroberos. Clow Reed said he let her rest so her energy could return. He says he knows she's from the future. She tells him that strange things are happening in the future and they sences his magic. The scene changes and Sakura is runnig down a hall in Clow's house. She runs past a room but doubles back to see. This time she can only watch, for the Return cards power is running out. Yue and Keroberos seem upset. Clow Reed has told them that he is going to die. Both guardians are upset at this. The gang investigate the park, but it starts raining. They all go home. Ruby Moon asks if Eriol's going to do something. At Sakura's house Keroberos starts to transform. Sakura asks Yue to get out of the rain, for he'll catch cold. Yue says he doesn't catch colds. Keroberos says he can't transform. Yue tries but can't either. Sakura goes and opens her window. Keroberos can't fit, until Yue tells him to fold up his wings. They try thinking. Keroberos gets real upset and stats yelling. Touya opens her door to see what's going on. Sakura tells him she's practicing a speech. Sakura offers her bed to Yue. He says he's fine near the window. Keroberos asks why she didn't offer him. The next morning Keroberos tries to transform again but is unsuccessful. Sakura says that there are chores to do, and tells Keroberos he has to help. He gets upset and says it's like it was with Clow. Sakura starts to bake things and Keroberos tries to throw a bag of flour at her, but gets it all over himself. Sakura has a fever, but goes to school anyway because of a group project. Later, Sakura gets dizzy and is sent home with Toya by the nurse. Toya stays home to watch over her. When Toya is making food for her, Sakura senses a Clow Card, and it turns out to be the Cloud card. Sakura uses the Mirror card to make a clone of herself, so Toya will not notice that she is gone. Sakura, using the Fly card so she can capture the Cloud card. Toya comes in Sakura's room with food and offers it to Sakura's clone. Sakura travels toward the Cloud card, but when she is blown off her staff, Syaoran saves her with a wind spell. Sakura learns that Syaoran and Meilin are going after the Cloud card as well. 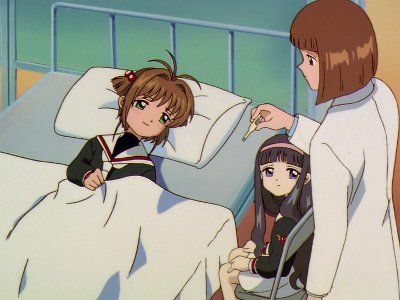 Back in Sakura's room, Sakura's clone asks for the medicine and Toya replies that she should not take medicine when she is not sick, because she is not Sakura. Toya asks the Mirror card to hide the fact that he has a vague idea of what Sakura is doing and the Mirror card agrees. Back outside, Syaoran hits the Cloud card with various spells and gets it to its original form and Sakura seals it. The card is Syaoran's, but he gives it to Sakura. Sakura returns to her room and falls asleep in her bed. Nadeshiko appears and heals Sakura. She tells Toya that she was a bit worried and then tells Sakura to do her best, before disappearing. Sakura's father appears saying that he was worried about Sakura because she was acting strange this morning, and Toya tells him his hunch was right and that mother appeared. The next morning, Sakura is as cheerful as ever, and her father is home helping make breakfast. Sakura thanks her mother for staying by her side. Sakura and her friends are at a picnic with a portable karaoke device Tomoyo got from her mother's company. It is Tomoyo's turn to sing, and she begins singing. The next day at school, Sakura and Tomoyo talk about the song that Tomoyo will sing in choir. At cheerleading practice, Sakura, Chiharu, and Naoko talk about Tomoyo's singing, and decide to go listen after practice. However, Tomoyo's voice is stolen by a Clow Card. Later that night at Sakura's house, Kero tells Sakura that the Voice card caused this. Sakura and Syaoran go to Tomoyo's house to try to seal away the Clow Card. Then, Syaoran and Sakura begin thinking of ways to capture the Voice card. 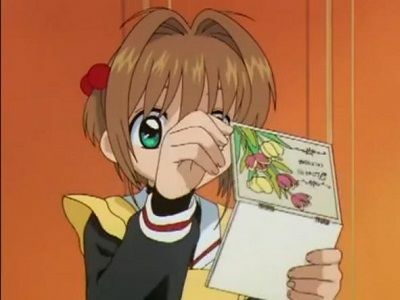 After a comment by Sakura about the Song card, Syaoran comes up with the idea as using the Song card to sing with Tomoyo's voice to draw out the Voice card. It works and the Voice card comes into Tomoyo's house. Syaoran seals the exits with seals, so that the Voice card cannot escape and Sakura seals the card. Tomoyo's voice is returned to her, and she is able to sing in the choir. Sakura and her friends go to the concert and listen to the choir's singing. On her way home Sakura bumps into a woman in the street. After arriving at school the next day, Sakura discovers that her math teacher will be on extended vacation and the replacement is the woman she bumped into the day before, Ms Mizuki. 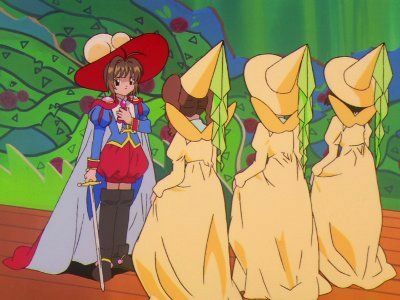 During the lunch break Syaoran reveils to Sakura and Tomoyo that the substitute has a strong magical presence and that they should be careful around her. When school finishes Sakura and Tomoyo go to a shrine to pick up a romance charm. Upon arriving Sakura feels a presence. 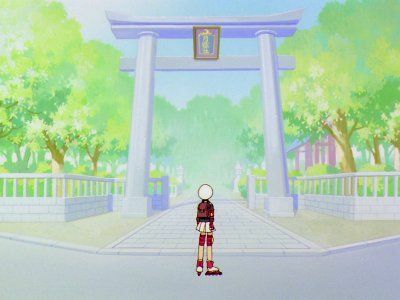 While at the Shrine they also see Meilin and Syaoran. After a brief conversation they are all transported into a labyrinth, it is soon discovered that this is the work of the Maze card. A number of escape attempts using the Fly and Sword cards are foiled. The Maze then starts to change shape and Meilin is separated from the others. While searching for Meilin, they find her with Ms Mizuki and they soon escape the labyrinth with Ms Mizuki's help. The Clow Card is then captured, however it goes to Ms Mizuki who promptly goes on to give it to Sakura. 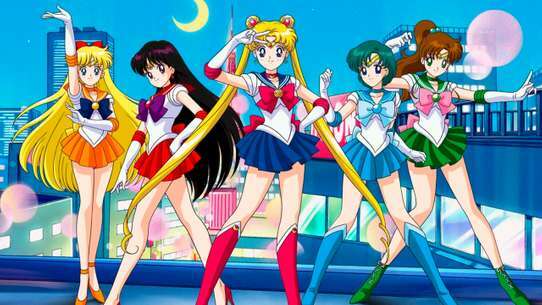 Sakura, Tomoyo, Meilin and Syaoran head into town for a day of fun. The four are not alone in their venture as the Dream, in the form of a butterfly, tags along. 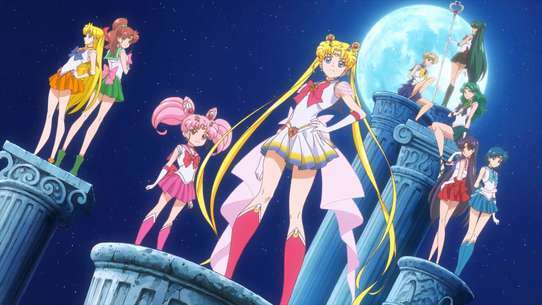 When the group enters Tokyo Tower to see an exhibit there, Sakura falls under the Dream's spell. At first, the vision that the Dream presents to Sakura is comical. Later, the Dream takes a more serious tone by expanding upon Sakura's reoccurring dreams concerning the Clow guardians' Final Judgment. Sakura becomes frightened of the images of this future, however, the Dream flashes clips from Sakura's past to remind Sakura of all the obstacles that she has overcome. Outside of Sakura's dream, Syaoran realizes that something is wrong and uses the Time card to freeze the Dream card. Snapped out of the Dream's spell, Sakura is able to successfully capture the Dream card. However, as it was Syaoran that stopped the card's effects, the Dream card belongs to Syaoran. Sakura’s fourth grade class takes a trip to the town’s ice skating rink. At the ice skating rink, the students begin to feel low, freezing temperatures due to the Freeze card. Eventually, the Freeze card beings to freeze everyone by covering them with ice, except those with magical powers, which include Sakura, Syaoran, and Ms. McKenzie, who was hiding near the back of the rink during Freeze’s appearance. With the help of Syaoran’s distractions, Sakura is able to capture the Freeze card into a clow card and ultimately, Syaoran became the master of the Freeze card due to his idea of getting Freeze to appear out of the ice rink. Ms. Mizuki announces that the class will by doing a play for the school arts festival. Sakura realizes that the woman she sees in her reoccurring dream is Ms. Mizuki. Roles are assigned by amida drawing. Sakura has the role of the prince and Syaoran is the princess. The two have lunch with Yukito, who asks about the play. Sakura and Syaoran are too embarrassed to tell him what roles they are playing. They agree to practice their lines together in the morning at school. Toya makes Sakura breakfast and warns her about doing "reckless" things. Sakura meets Syaoran in a hallway and the Sand card rushes around behind them. They practice outside and almost get to the kissing scene, when the Sand card forms a vortex around them. They get away using Fly, but Syaoran gets caught in the vortex again. Sakura uses Watery and Syaoran uses Freeze to freeze the Sand. Sakura seals the card and it comes to both of them, but she lets Syaoran have it. Sakura goes to a New Year's festival and notices that Yukito isn't around. Toya goes to check on him, discovering that he has not only collapsed from fatigue, but he's also beginning to fade from existence since Sakura's power, despite how strong it has become, is not enough to sustain Yue. Later at the festival, she receives a fortune from Eriol which he secretly made and enchanted, saying that she will begin to learn the "truth" in her "first dream of the year." 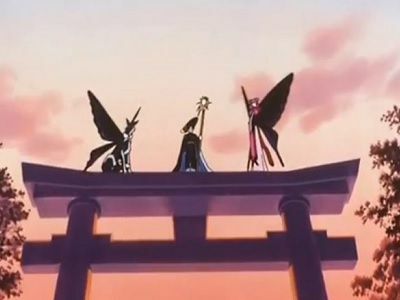 That night, Sakura transforms the Dream card in her sleep and has a dream of the sky being blanketed by darkness emanating over Tsukimine Shrine, where she sees the silhouettes of Eriol, Spinel Sun, and Ruby Moon. When Sakura awakens to realize what she's done, she and Kero begin to suspect that they will meet the three silhouetted figures very soon.